It’s finally gone “Generally Available” – Ideas, the Artist Formerly Known as “Insights” – is now introduced in Excel to Win32 and Mac, and is apparently coming to Excel Online soon too. There’s another new feature now out – Insert Data from Picture – one of several new products to come out of Microsoft's recent advances in Artificial Intelligence. We first mentioned this in May as a Preview feature, but now it’s being rolled out to all users of Excel in Office 365 (in the English language only) starting from late September. 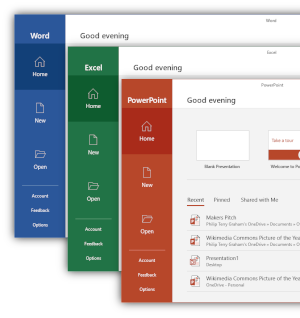 Succeeding its “2016” counterpart, Microsoft Office 2019 was released for Windows 10 and on macOS on 24 September 2018. The pace of change continues, but the volume may be decreasing slightly. No matter: this month’s updates include Previews of aggregations, Q&A finally available with RLS and a PDF file connector. The new stuff keeps coming. This update sees multi-geo support, a new workspace experience and a phone report layout amongst other improvements. Finally! Kudos to the team as we have finally got our proverbials together and listed "Introduction to Financial Modelling" by Liam Bastick on Amazon. You can’t really accuse Microsoft of doing things by halves. This release contains a fair few new features, to put it mildly! After the avalanche of updates last month (nothing to do with the Microsoft Business Applications Summit we’re sure), normal service has been resumed this month with a more reasonable number of updates to get your teeth into.